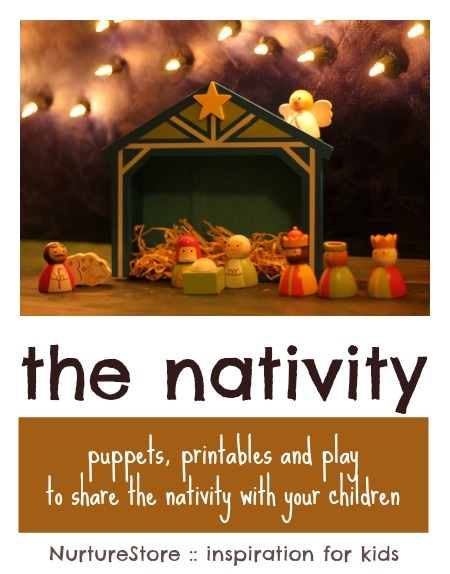 A super fun and festive unit of learning. 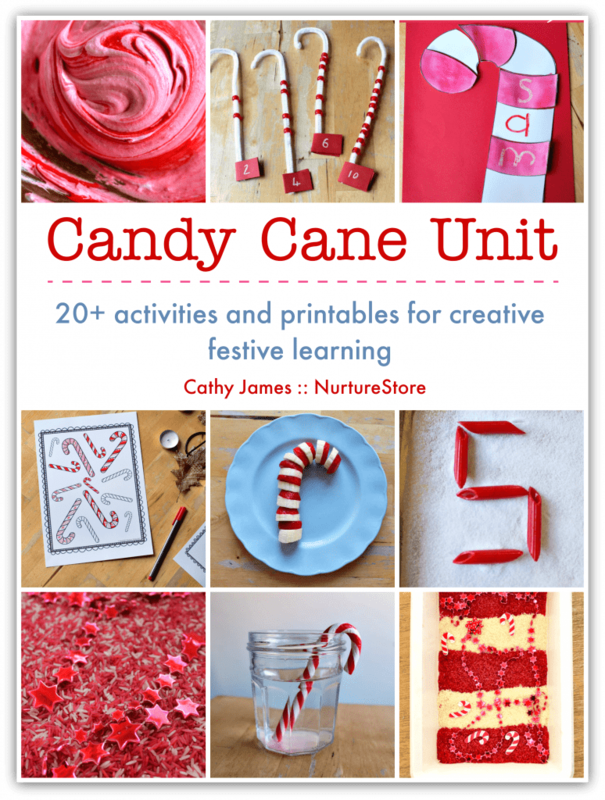 This kit gives you everything you need to teach an engaging program of activities all based around candy canes. With ideas for math, literacy, science, play, sensory, arts and crafts your children will love learning all through the holiday season. 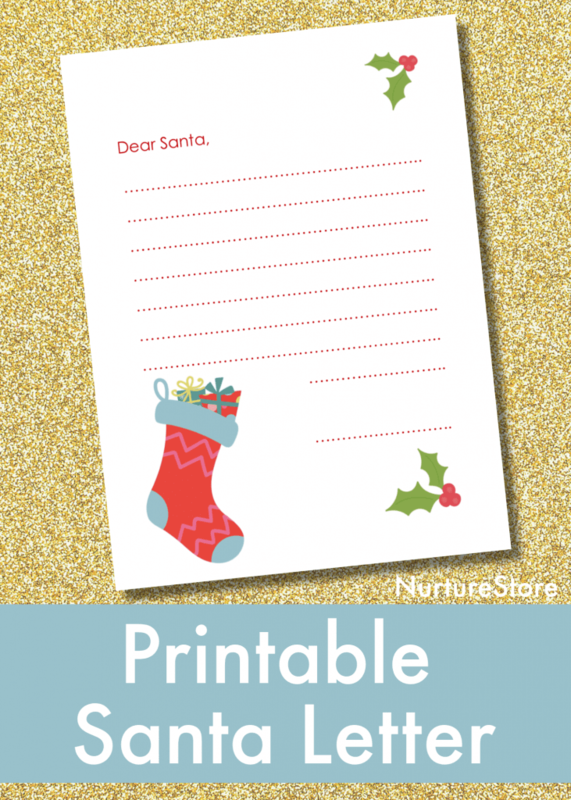 Get ready for Christmas Eve with this printable letter to Santa for children to complete. 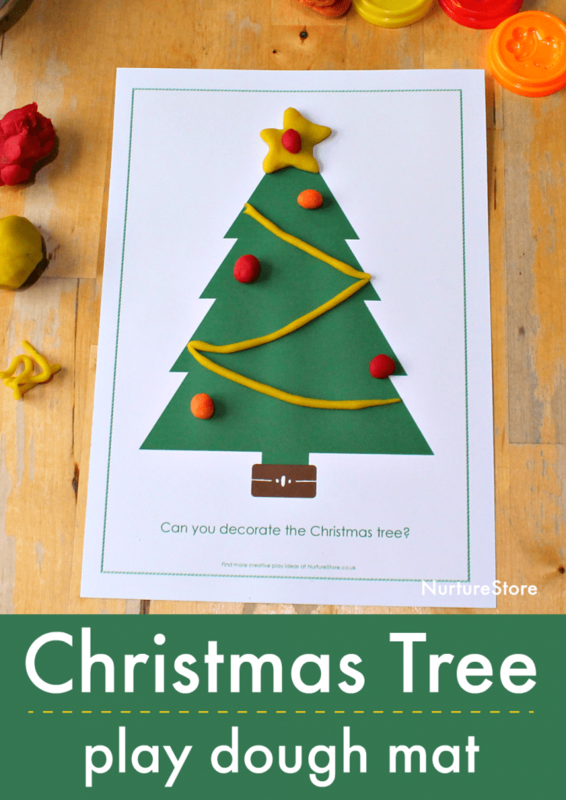 You can use this printable Christmas tree play dough mat for some fun Christmas-themed sensory play. 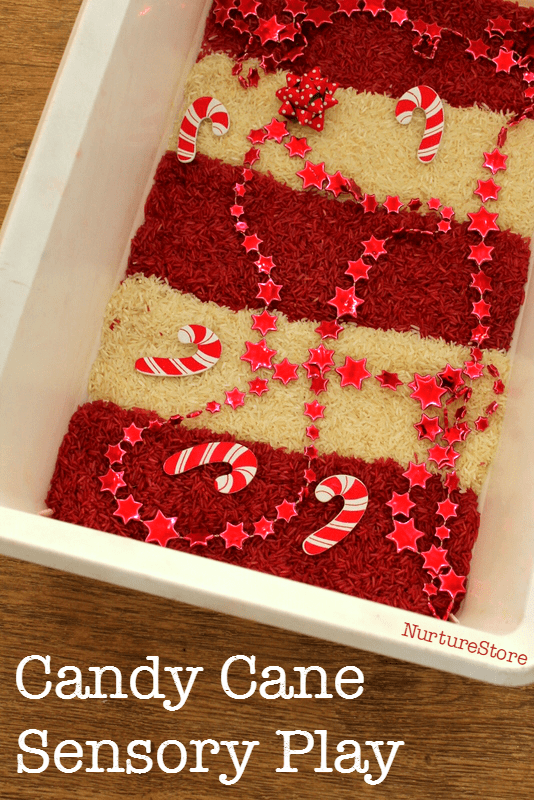 A candy cane sensory tub is easy to put together and smells just like Christmas. The more you play, the more the air fills with the lovely scent of peppermint. Here’s how to prepare your tub, along with five other fantastic ideas for Christmas sensory play. 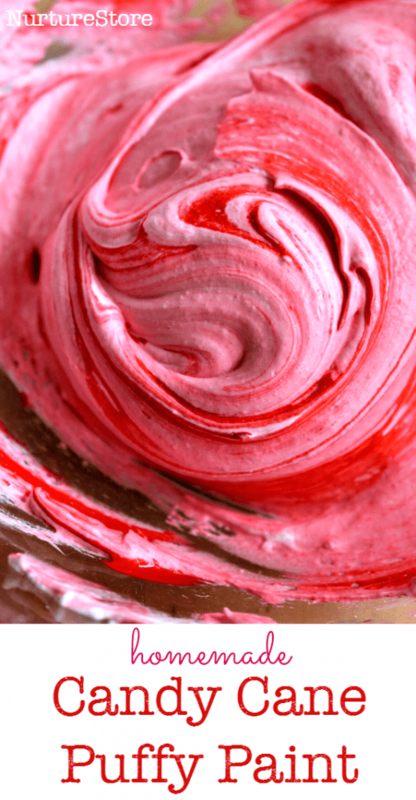 This Christmas play dough recipe is inspired by the Christmas-flavoured sugar I make each year to go on our Christmas-movie-popcorn. 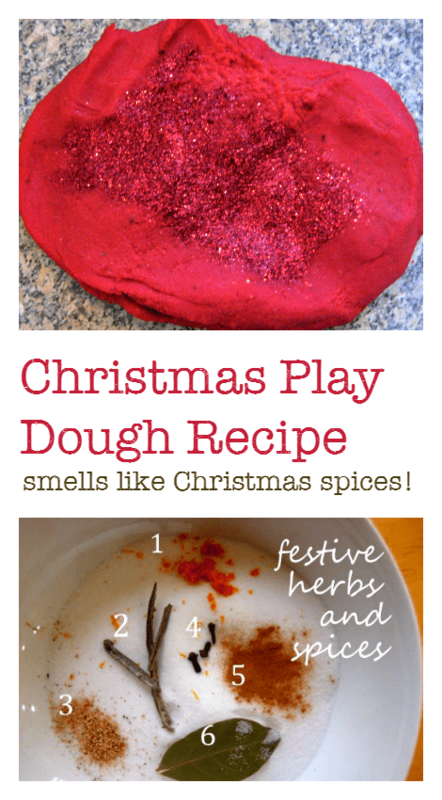 The sugar smells exactly like Christmas, with a blend of herbs and spices that fills the house with a festive feeling and, as I often have play dough on my brain, I thought why not try it for a Christmas play dough recipe? This is a gloriously sensory process art adventure, where the focus is on enjoying the look, feel, and scent of the homemade puffy paint.